The role of nuclear power in Europe received an unexpected boost yesterday as EU leaders hailed a landmark climate change deal to reduce greenhouse gas emissions and switch to renewable fuels. Environmentalists complained that an ambitious headline goal to cut Europe’s CO emissions [Note: "CO" is the chemical formula for carbon monoxide and I think that the authors probably intended to mean carbon "C" only. 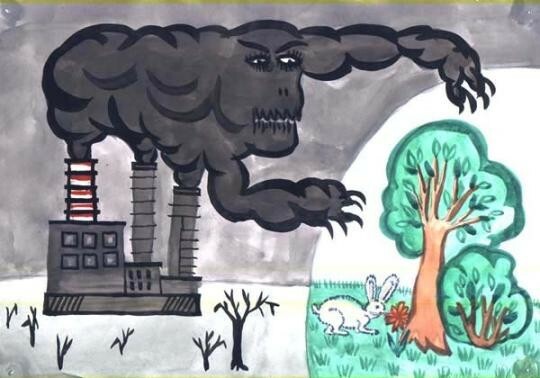 It is carbon dioxide "CO2" that enviromentalists typically stereotype as a "Greenhouse" gas - Archivist] by a fifth by 2020 had been weakened by concessions to the main nuclear nations and the biggest polluters in Eastern Europe. Nonetheless, Angela Merkel, the German Chancellor, will use the agreement struck at the spring EU summit in Brussels to put pressure on world leaders to follow suit when she hosts the G8 meeting in June. China, India and Brazil will join that summit and, like the US, be challenged to accept the principle of binding CO cuts for the first time. As well as agreeing in principle to reduce greenhouse gas emissions, EU leaders pledged to ensure that 20 per cent of Europe’s energy will come from renewable sources by 2020. The commitment of all 27 member nations is legally enforceable by the European Court of Justice. Months of haggling will follow as diplomats argue over targets for individual countries. Each will contribute a different amount, and diplomats made clear that less would be expected of the heaviest-polluting former Communist countries. The Czechs and Slovaks had both complained that they had only just left decades of five-year plans behind them. In a sop to France and the Czech Republic, a country’s nuclear power capability will be taken into account when calculating national commitments to renewable energy. France produces 80 per cent of its electricity from nuclear power stations and insisted that this “noncarbon” source of fuel should be taken into consideration. French diplomats believe this will lessen the EU demand for more renewable sources such as wave, wind and solar power. Jacques Chirac, the outgoing French President, welcomed the deal as one of the top three achievements of the EU during his 12 years in the Elysée Palace. Mr Blair and Mr Chirac were full of praise for the handling of the summit by Mrs Merkel, who faced strong opposition to her climate change ambitions from several nations, not least in eastern European countries such as Poland, which still rely heavily on fossil fuels. But she was determined to give herself the best possible leverage on members of the G8 to persuade them to follow suit and prepare a postKyoto global framework for cutting harmful emissions. Key to any new global deal will be the United States, where Congress refused to ratify the Kyoto protocol, but also China, India and Brazil, which were all excused Kyoto targets because they were classed as developing nations in the 1990s. The EU deal allows Mrs Merkel to challenge other global players to match the EU’s commitment — with the extra pledge that Europe will go further and cut emissions by up to 30 per cent if others are prepared to follow suit. The article above seems to imply that nuclear energy is the only solution to the "energy problem" and/or "Global Warming" - but this is a deliberate obfuscation. Be sure to read these articles of truth that say almost unlimited fossil energy has already been verified as existing within the continental United States in OIL-BEARING COAL and OIL-BEARING SHALE. Utilization of this resource will bring in "oil" at the equivalent price of about $35 a barrel. It can provide all our needs, for the next 40 years at least, without further kowtowing to the America-hating Arabs, or paying any more ransom to the rabid dictators of South America. More importantly, it helps reduce the threat of both nuclear accidents and nuclear terrorism. This essay on so-called Global Warming will give you additional insight on important pros and cons of continued usage of fossil fuels. Click these links to learn more about the 1986 Chernobyl Nuclear disaster, and the monstrous genetic damage the residual radiation is visiting upon children born in the area. Some Australians (the wise ones) are currently (March 2007) in an ominous struggle against being force-fed dozens of new nuclear powerplants, propelled by government invocation of the holy-green-gods of "Renewable Energy" and "Global Warming." You can read the sensible side of the debate here at NuclearFlower.com. The Brits also have a group of wise folks who oppose the forces seeking to greatly increase England's number of nuclear powerplants. Read about their furious struggle here at nonewnukes.net. The pro-Nuke folks never seem to address the question of 'just where does all their uranium fuel come from, anyway?' Urainium consumption worldwide is almost twice the quantity that is being produced, making for a rapidly growing shortage of uranium. The pro-Nuclear activists and Global-Warming handwringers are neglecting to warn us that, by switching from fossil fuels to nuclear energy, we are just trading-in one type of fuel shortage for another!! Further, no one ever mentions that mining, transportation, and purification of uranium ore is highly, almost 100%, dependent on fossil fuel. So the highly touted "freedom" that nuclear energy supposedly grants from Arab-oil-dependence is merely a hollow argument based on a false premise.